Home / Cat / Dry Food / Go! Our GO! FIT + FREE™ Chicken, Turkey + Duck Recipe is prepared with premium-quality meat proteins, fruits & veggies, and omega oils. Our FIT + FREE™ recipes have the most meat of any GO! recipe. 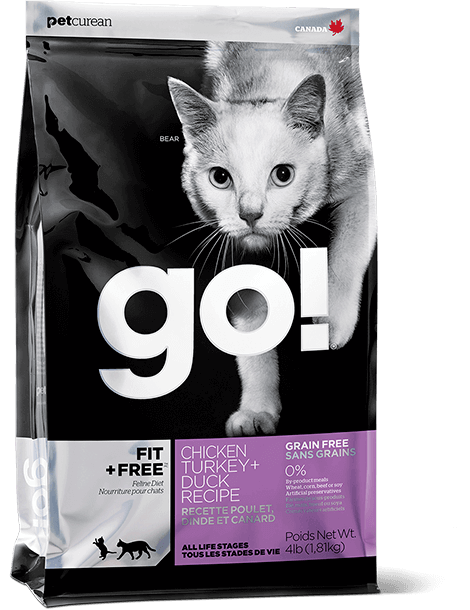 A protein-rich, lower carb diet helps your cat stay strong, healthy and fit.